Last week’s festivities culminated in a weekend of celebrations: a friend over from Australia, another one heading off there (what is it with my friends and Oz? ), Carnivorous Boyfriend’s DJ debut and a big birthday meal. Christmas treats were baked (more on that later this week), sleep was lost and alcohol consumed. By Sunday evening, a mocktail felt not just desirable, but really rather necessary. A few weeks ago I was contacted by Innocent Drinks and asked to contribute a recipe to their Christmas mocktail promotion. I don’t tend to get involved with brands on this blog, but I’m happy to make an exception for Innocent. Of course people will argue that they sold out to Coca Cola but it’s really only from an investment point of view and I genuinely like their products (read more about their cookbook here), their irreverent attitude and general ethos, so feel no qualms about mentioning them here. 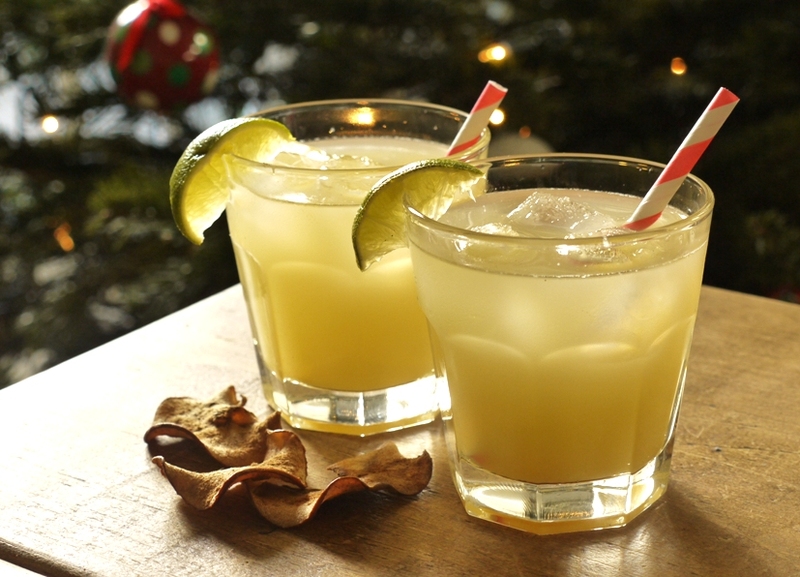 Mocktails are the perfect alternative to mulled wine, Buck’s Fizz, Snowballs and the myriad of alcoholic drinks on offer over Christmas. There’s almost always going to be someone in your party who doesn’t drink – whether they’re driving, a child (!) or simply don’t like alcohol – and it’s nice to be able to offer them something a little bit more exciting than a soft drink or straight up juice. 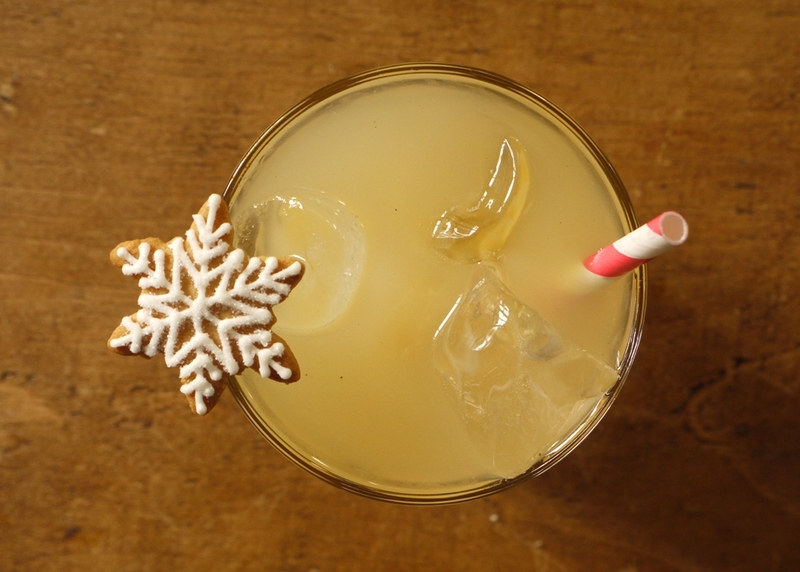 The mocktail I made for Innocent is sweet, sparkling and brought to life by a mix of spices inspired by chai tea. A simple syrup is made by toasting spices then seeping them in a mixture of honey and water, with added warmth from a nugget of fresh ginger and dollop of vanilla extract. You can use this syrup to soak a sponge cake or even add it to alcohol (if you really can’t be bothered to attempt to be virtuous at this time of year), but here I’ve stirred it through cloudy apple juice over ice and topped with sparkling water. 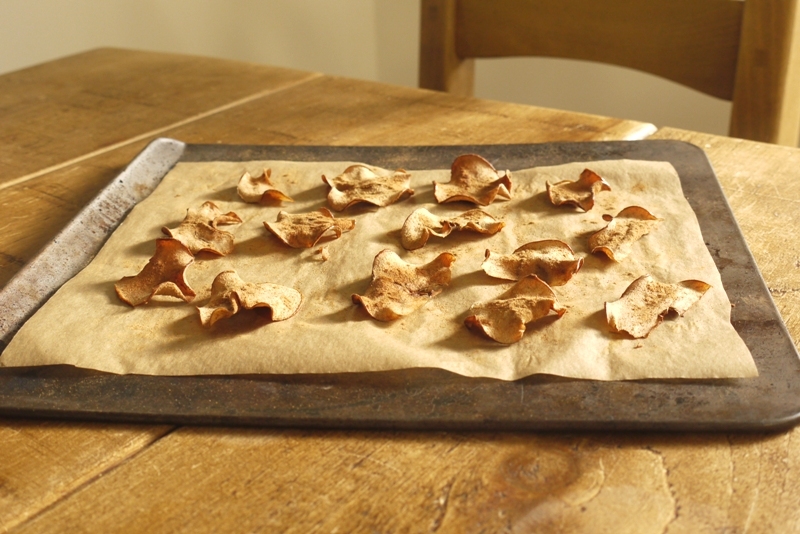 To accompany the mocktail (as a garnish or simply to serve on the side), I made some cinnamon spiced apple crisps. With just two ingredients these little crunchy bites are both virtuous and delicious, filling the house with heady aromas as they bake. To get the recipe for the chai-inspired simple syrup, my sparkling apple mocktail and cinnamon apple crisps, click here. Just a quick reminder that I’m now on Facebook! 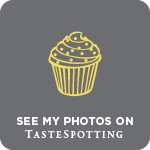 If you’d like to see more photos, recipes and links, ‘like’ thelittleloaf here. These look heavenly! It is only the 18th of December and I am sick of booze and chocolate already! Roll on the January diet! I don’t drink much alcohol and I really like the sound of this! The link to the recipe doesn’t seem to work though 🙁 Love the little biscuit too. Recipe for that coming up? Euan – thank you, it’s really refreshing and delicious. Just updated and the link should be working fine now – please shout if not. I’m hoping to post some sort of festive biscuits soon but time is running out on me before Christmas! We decided at the weekend that we’re not going to drink in January so I’m loving all this mocktail inspiration! This sounds like such a perfect winter drink – I love the fact that you made a sparkling mocktail too, it just makes it that bit more fun! I just love the apple crisps! I have some days where I’m just not in the mood for alcohol also. It happens. This chai simple syrup and fabulous beverage to infuse it into are just perfect! This sounds like a wonderful combination and the apple crisps are such a great addition. Stephanie – they’re really yummy. Karen – thank you and happy Christmas to you too! Joanne – sometimes you just need a break from the booze! Looks fabulous. What a wonderful Mocktail! I love all the various ones people have come up with for the Innocent 12 days of Christmas. I used their apple juice for mine as well. Love the idea of a Chai spiced syrup! Well done! I know what you mean! I am dying from all the holiday over-indulgence! 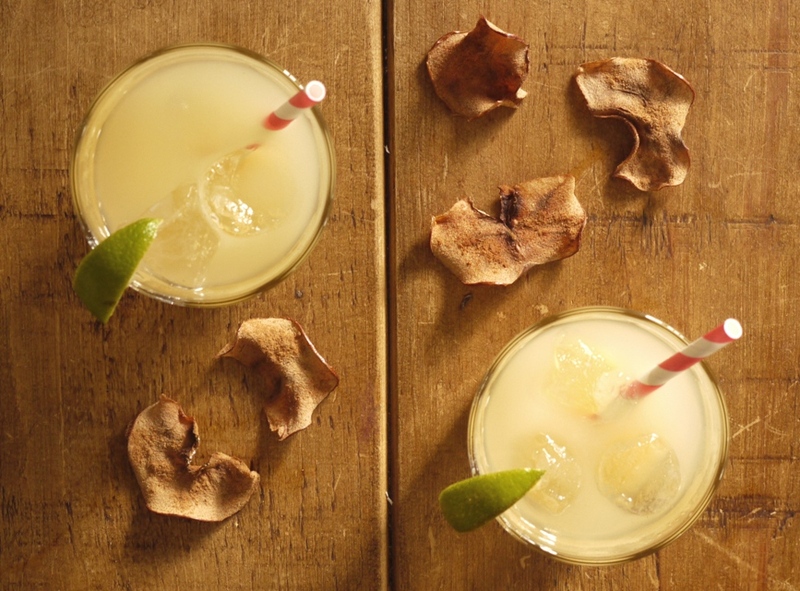 Your mocktail and apple crisps look just right to me. Thanks for dropping by simply.food.Your mocktail looks and sounds delicious. I love chai so this sounds just perfect. Savory Simple – it’s such a lovely combination of spices. Love it. I love chai! This blend sounds like a great way to have chai another way, gotta try it. I think I need one of these as i’m rocking yet another hang over at work! these look delicious! Jaime – chai is gorgeous in baking and ice cream too, such a gorgeous combination of flavours. Jenny – haha, that’s what Christmas week is all about!